Aerie Pharmaceuticals took a big step back earlier this year when its glaucoma drug came up short in the first of a few Phase 3 trials. But the Bedminster, NJ-based company still has a shot to bounce back, and got some needed news from the FDA that could help. Aerie (NASDSAQ: AERI) said late Monday that the FDA has agreed “in written and verbal communications” that the company can change the primary goal of what’s called “Rocket 2,” the second of a group of late-stage studies for its prospective glaucoma drug, Rhopressa. Aerie now has to show its drug can lower the intra-ocular pressure of folks who are starting out with eye pressure levels between 20 and 25 millimeters of mercury, or mmHg (the typical method of measurement for eye pressure). Successfully treating patients in the former starting range of between 20 and 27 mmHg is now the trial’s secondary goal, Aerie said. The news is important for Aerie, because management has claimed that Rhopressa would have passed its earlier study, Rocket 1, if the patient baseline was between 20 and 26 mmHg. It said at the time that Rhopressa wasn’t inferior to timolol—a glaucoma drug that’s been around for decades—for patients with eye pressures lower than 26 mmHg, and that Rhopressa was at least on par with, and potentially better than timolol in patients with pressures below 24 mmHg. (Specifically, Aerie said the drug was superior to timolol at seven of nine tracked timepoints over the course of treatment.) Overall, the trend so far with Rhopressa has been that it’s better at lowering eye pressure in patients starting out with lower numbers. 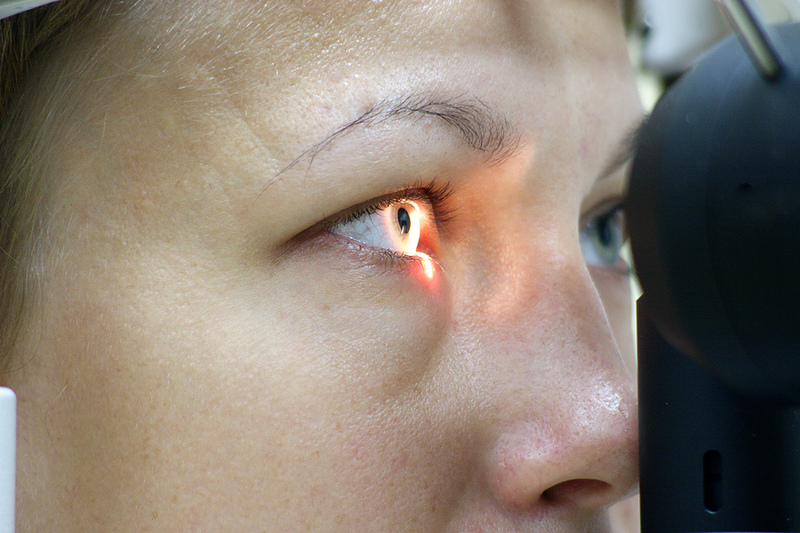 And a majority of glaucoma patients have eye pressures below 26 mmHg, according to Aerie. Shares of Aerie surged about 48 percent in pre-market trading. Of course, while this is all good news for Aerie, none of it means Aerie’s Rocket 1 numbers are guaranteed to be duplicated in Rocket 2, just that it’s increased its odds of success. Importantly, Aerie reported that 36 out of 182 patients in Rocket 1 showed “signs of loss of efficacy” as treatment continued—a troublesome sign for an eye drop meant to be taken chronically. Aerie has said a majority of the patients who saw that waning effect were above 26 mmHg to start with, but those assertions will be put to the test when the data come in. Results are expected during the third quarter, when Aerie will also begin a new Phase 3 study—named Rocket 4. It’s expected that that trial will also be judged on Rhopressa’s effects on people starting out in the 20 to 25 mmHg range. Glaucoma is essentially a plumbing problem for the eye. Its drainage systems get clogged, which in turn puts pressure on and damages the optic nerve. 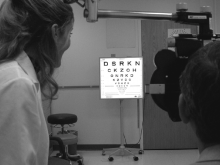 If the pressure isn’t relieved, patients can lose their vision. The concept behind Rhopressa is to impact the eye’s drainage systems from multiple angles, including its main drain, a mesh-like filter known as the trabecular meshwork—a target none of the standards of care, prostaglandin analogues (PGAs) like latanoprost (Xalatan), directly impact. (Timolol, meanwhile, is what’s known as a beta blocker, a class of drugs that are typically used as adjunctive therapies for people who don’t respond to PGAs). Aerie has been hoping Rhopressa might replace or work in tandem with PGAs—drugs that, while very effective, irritate the eyes and can change the color of peoples’ eyes, among other issues. Check out this story from March for more on Aerie, its competitors, and the glaucoma space.